Shira Waldman is a Kindergarten Judaic Studies, K-8 Art, and Grade 8 girls Physical Education teacher at the OJCS in Ottawa, Ontario. She holds a B.A in Psychology and Art History and a B.Ed in Primary and Junior Education. 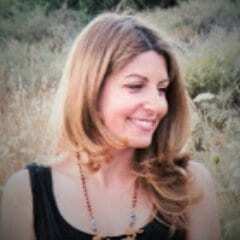 She has trained and worked in Waldorf Education, has taught at an Orthodox Day School, Afternoon School, Jewish Preschool and as part of a Pedagogic Team in Israel, designing curriculum for Private English Kindergartens in Turkey and South Korea. She is multilingual, speaking French and Hebrew, and spent 5 years living in the North of Israel. She is the mother of 4, an avid reader, passionate about art, loves gardening, healthy eating, and physical fitness. She is a vegan and animal lover, having fostered over 70 street dogs in Israel. She strives to encourage a life long love of learning in her students and to prepare them for the 22nd century. To glimpse inside Shira’s classroom please visit her Kindergarten classroom blog, Art with Heart, and Physical Education blog.